Have a great Thanksgiving and a great Weekend! 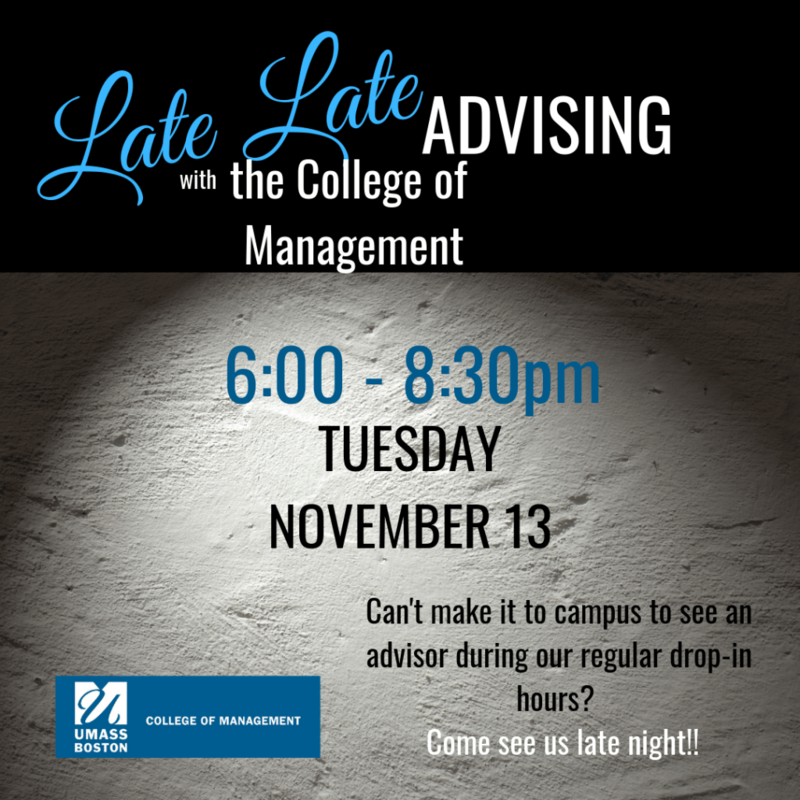 The afternoon drop-in hours on Tuesday, November 20th will be from 4:00 – 5:30pm. 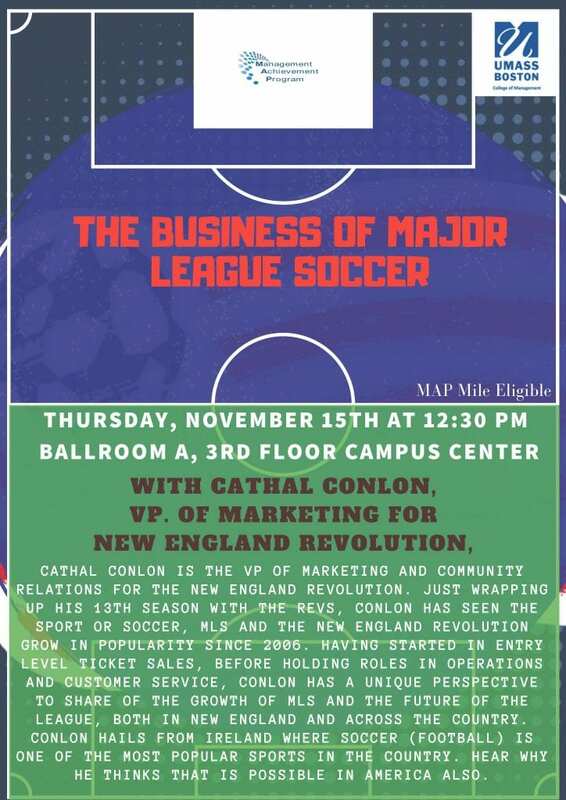 Join us for a special MAP event next week to hear Cathal Conlon, VP of Marketing and Community Relations for the New England Revolution, discuss his career and the business of soccer. Cathal Conlon is the VP of Marketing and Community Relations for the New England Revolution. Just wrapping up his 13th season with the Revs, Conlon has seen the sport of soccer, MLS and the New England Revolution grow in popularity since 2006. Having started in entry level ticket sales, before holding roles in Operations and Customer Service, Conlon has a unique perspective to share of the growth of MLS and the future of the league, both in New England and across the country. Conlon hails from Ireland where soccer (football) is one of the most popular sports in the country. Hear why he thinks that is possible in America also. Students can earn one MAP mile by engaging in this opportunity. Click here to view a PDF copy of this post.